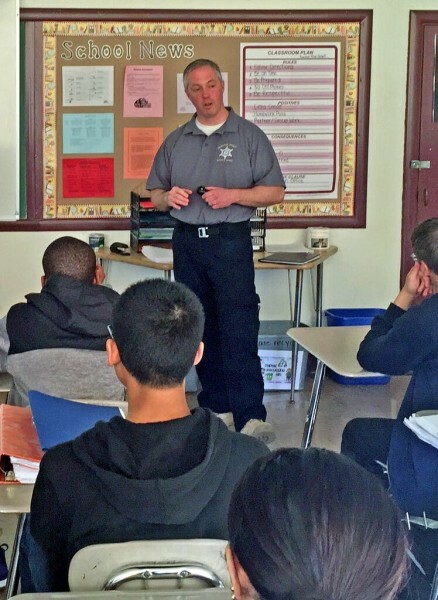 In addition to our onsite programming, Our Outreach Officers travel the county educating young people on the dangers of drug use (opiates and marijuana in particular). Specific attention is placed on making good decisions, maintaining healthy habits, quality friendships, and the effects of drugs on the body and appearance. Our Outreach Officers are trained by The Massachusetts Aggression Reduction Center (MARC) of Bridgewater State University and lead class discussions on various bullying scenarios. Faculty training is also available. Upon request, carefully selected inmates are also available to visit local schools and impart lessons they have learned and the importance of making positive choices and avoiding decisions which could lead down a path toward incarceration.